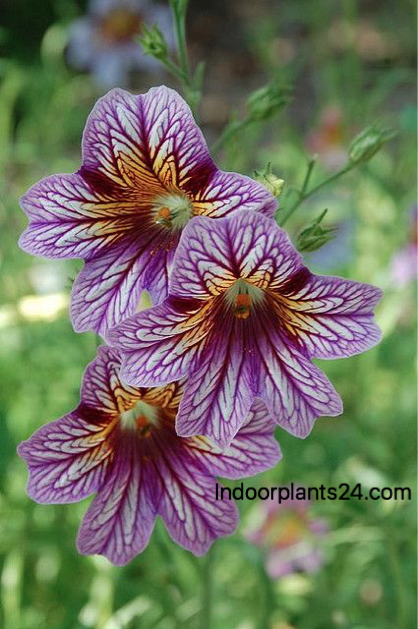 Salpiglossis is an annual that makes an outstanding pot plant for the greenhouse or sunroom and, although not often seen in the home, it makes a good temporary houseplant. 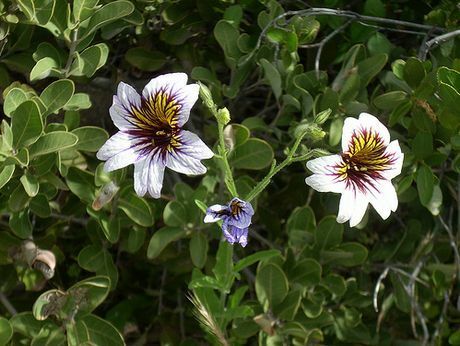 The beauty of the individual flowers is often lost when it is grown outdoors, and the five-pointed star-shaped blooms, some 2in/5cm wide, should really be examined closely. They come in a choice of colours, including yellow, orange, red, and lilac, with velvety petals heavily veined and overlaid in contrasting colours. REPOTTING: Move seedlings into larger pots as they grow, until a 5-in/13-cm pot is reached. 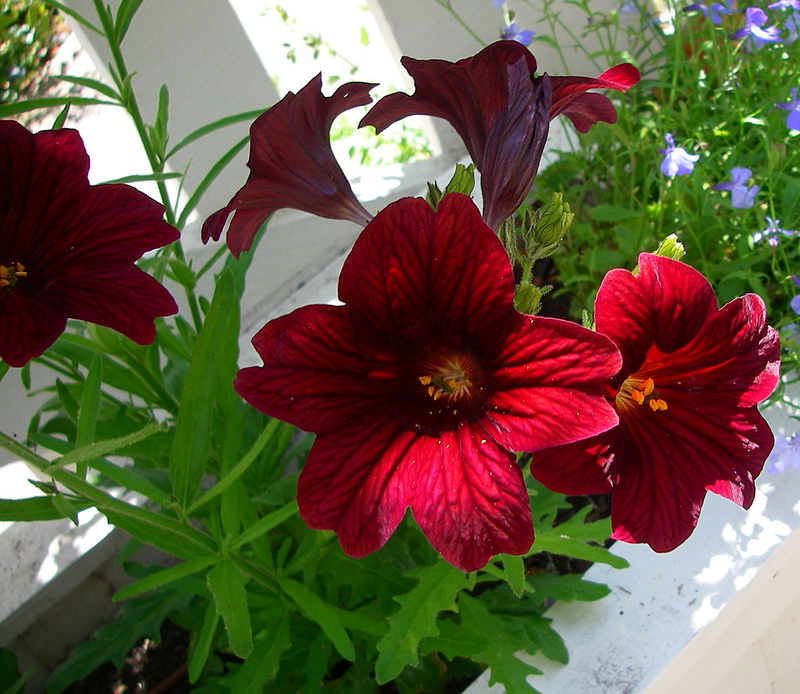 PROPAGATION: Sow seed in spring for summer flowering or fall for early spring blooming. KEEPING PLANTS: Stake stems as they grow, to prevent them from falling over and breaking. Bright light with some full sun. Cool to normal room conditions. 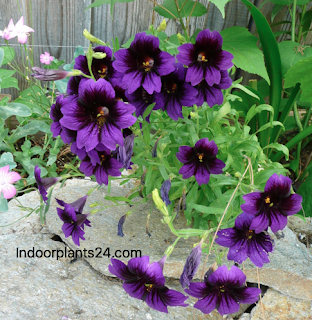 Water well, but allow the top of the potting mix to dry out before rewatering. Feed every 2 weeks until early fall with a standard liquid fertiliser.